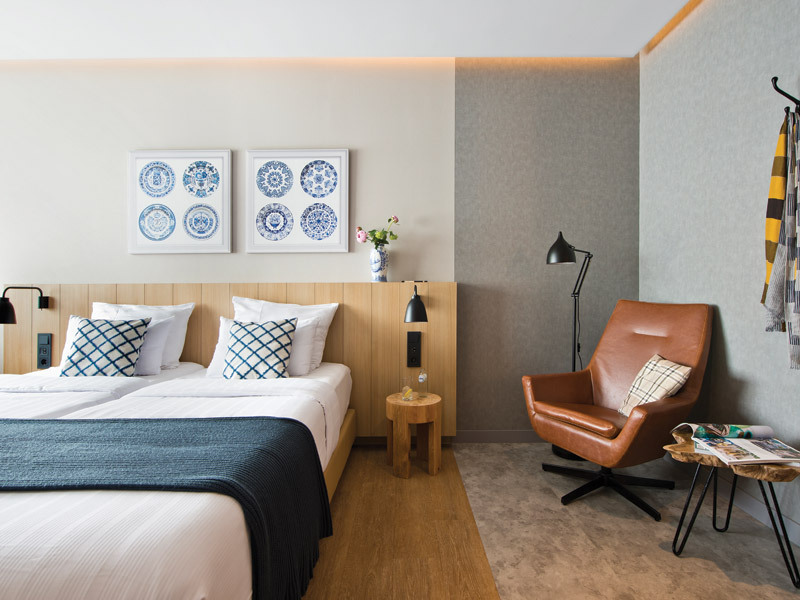 Tasked with converting an office block, outside Amsterdam in the village of Sloterdij, into a 120-room hotel, Fusion Interiors Group has completed its first hotel project in the Netherlands. 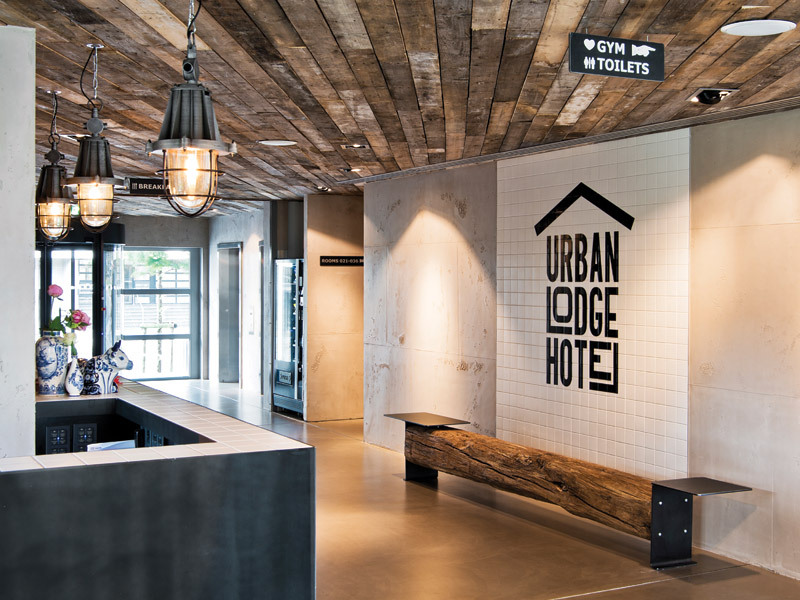 As well as designing the hotel interiors, the design studio was also responsible for the branding – including coming up with its name: Urban Lodge. 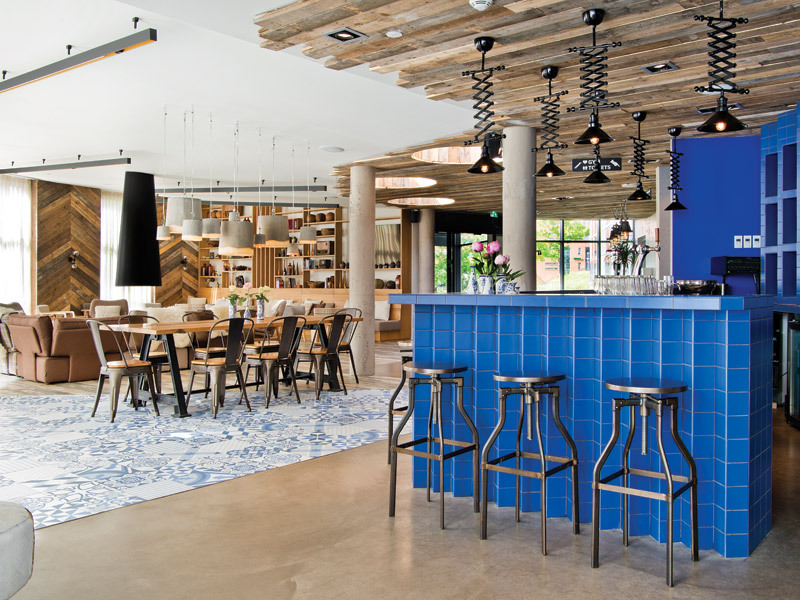 Targeting both leisure and business travellers, the design concept draws on the former farming days of the area, which later acquired a railway station connecting the village to Amsterdam. 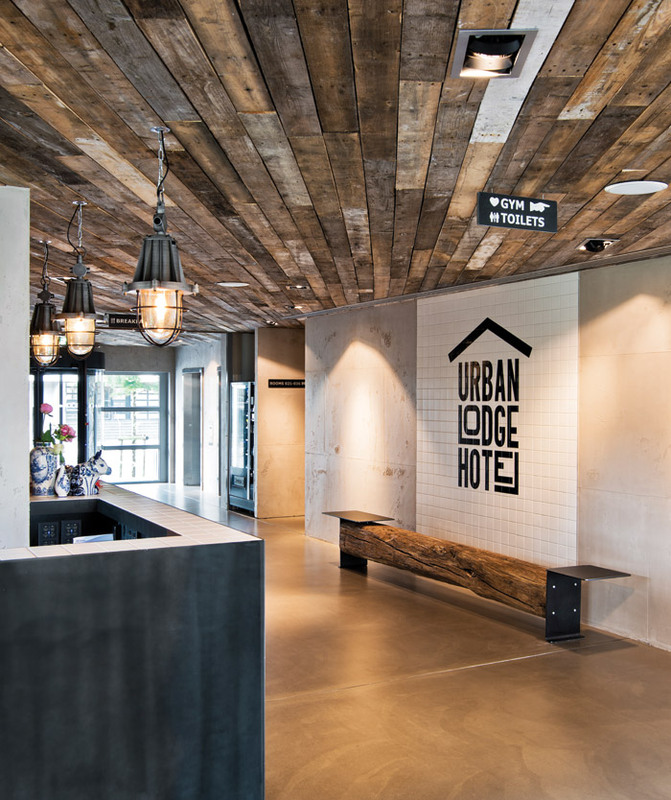 Hilary Lancaster, interior designer and owner of Fusion Interior Groups, says it was the connection of the city to the farmland that inspired the name Urban Lodge and design narrative for the hotel. 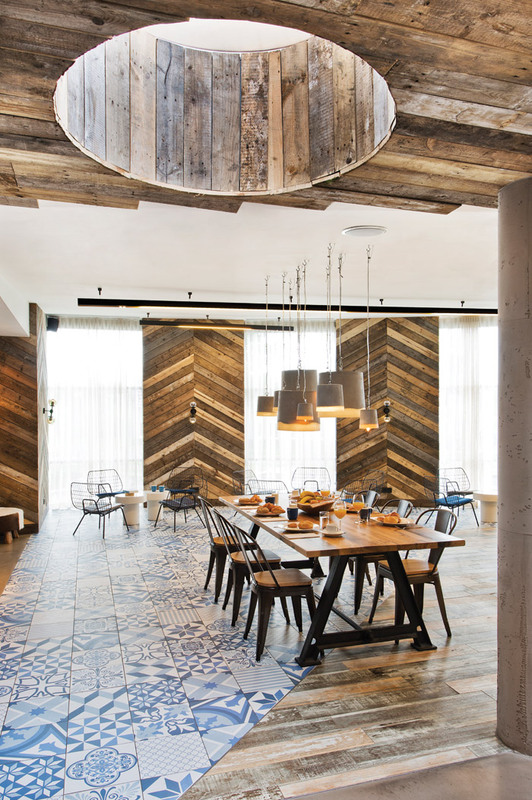 ‘Once the name was agreed on, we decided to combine a lodge feel with a subtle industrial feel internally,’ she says. This includes featuring reclaimed industrial lights, found locally, in the scheme. ‘We were also working to a tight budget so we needed to be very creative with materials,’ she adds. 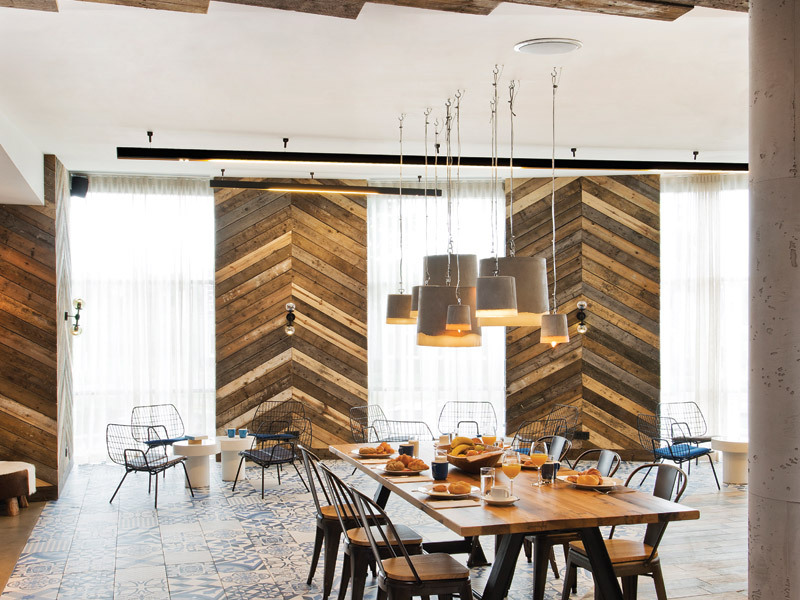 When entering the lobby area, guests are greeted by reclaimed timber planks fixed diagonally to the ceiling and offset by a feature concrete floor that provides a dramatic contrast to the building’s exterior. The reception desk is clad with black iodised-metal panels with a tiled counter top; the same white tiles are used on the guest bathroom walls. The centrally located lounge in the lobby area features a timber floor and a focal fireplace with its central exposed flue running to the ceiling. Bookshelves loaded with vintage decorative pieces sourced locally by Lancaster also feature in this space, where chevron wood columns frame the lobby area. 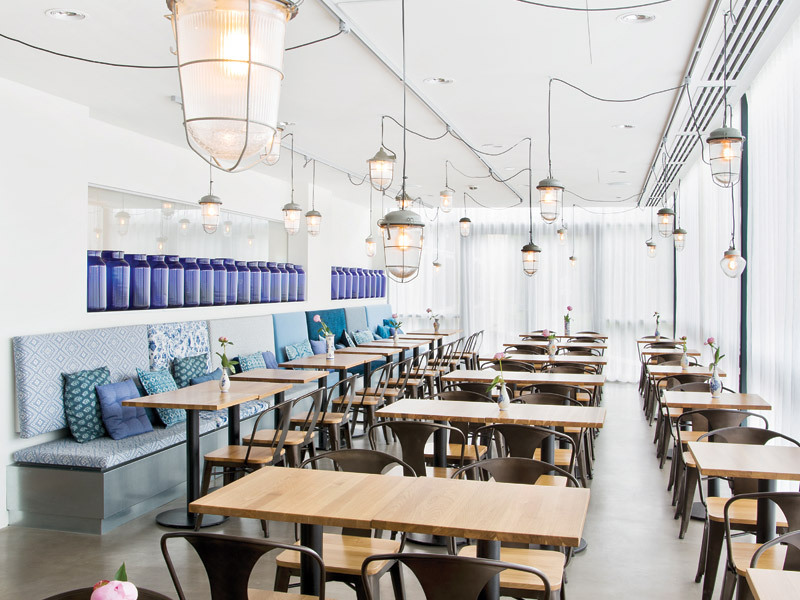 Heading to an all-blue bar, blue and white floor tiles cut into the wooden floor, introducing a Delft Pottery theme. Designed by a local artist, the concept extends into guest rooms where plates are presented as art pieces above the beds. 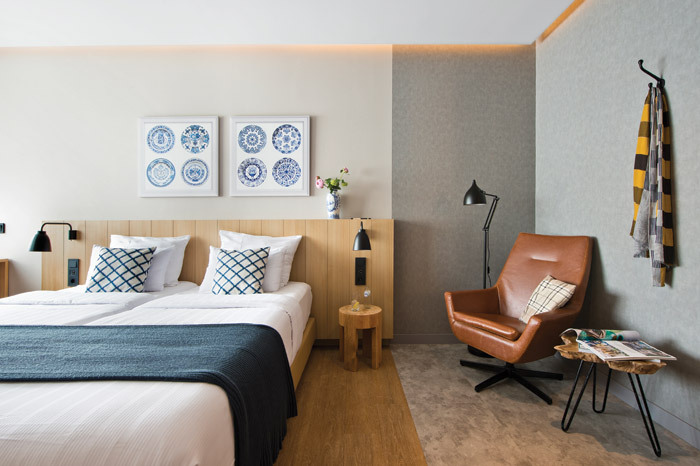 The contemporary decor of the guest rooms feature a cosy material palette of wood, leather upholstery and checked fabrics. 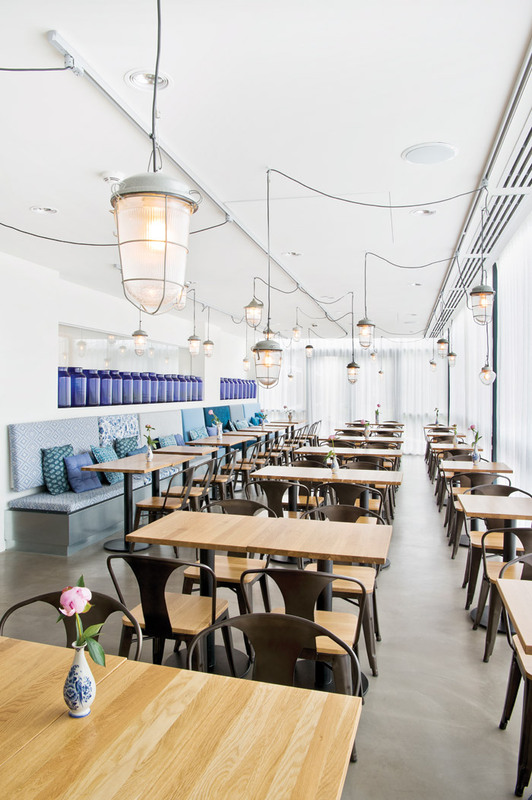 Restrained by a small budget Fusion Group Interiors aimed for timeless design scheme.